If you haven’t already heard by now Google has launched a brand new social network called Google Plus. Google plus is Google’s third attempt at entering the social media space, after two failed attempts with Orkut and Google Buzz. I have spent about one week in the platform, and have found it to be an amazing experience, due to the openess of the network, and the wide range of features available to share content, engage with other peoples content, and further build my personal brand while driving lots of traffic through my own sites at the same time. Right now Google is only allowing personal profiles, but will be releasing business profiles very soon. I want to share some tips and tricks with you that I have discovered that will help you get more followers on google plus, because if you can get a lot of people following you on this network, you will increase your influence, and further create a greater amount of leverage with the ability to drive a massive amount of traffic through your sites in a very short period of time. This has worked tremendously well as I have invited well over 50+ people in only one week of being on the service. When you first set up a google plus profile they first ask you to start adding people to your various “circles.” A “circle” is like what facebook tried to do with “facebook lists.” Google gives you the circles, “friends,” “family,” “acquaintances,” and “following,” when starting out on the network, but the beauty is that you can create as many circles as you want. Once you create your circles you can then break down your newsfeed with the various blocks of people, allowing you to segments peoples status updates and posts easily and effectively. Once you get that all squared away, you can then start engaging strategically based on what other people are posting. The value in adding thoughtful comments that spark conversation in threads makes you stick out to people reading the comment stream on the piece of content. This gets more people to click over to your profile and creates a greater likelihood that they will add you to one of their circles. When a piece of content or status update is posted by someone that you have been following in a circle, you will start to see the conversation build in real time from other people who have added that person to a circle. If someone says something interesting and you want to direct that person’s attention to your comment later in the conversation, call them out in the coment (making their name a live link to their profile) by using the “+” key and then type their name. Once you make their name “a live link” in the comment thread, they are sent an e-mail notifying them that you have directed a reply, which allows them to come back and engage with you further. If the person likes the conversation that you had with them in the thread, there is a greater likelihood that they will add you to one of their circles because they realize you aren’t just there to post your links and not engage at all. From the feedback I have been getting from people in my various networks, they want to be following people that are interesting, and will truly commit to having engaging conversations around the content and status updates. If you can set yourself apart from the other people who leave comments effectively, you will have more people adding you to circles than you know what to do with. Piggybacking to tip #3, one other cool way to get more high quality individuals to pay attention to you, and who want to learn more about you is if you +1 various comments they leave in threads. As Dale Carnegie has taught us in the past, people don’t care how much you know, until they know how much you care. By acknowledging individuals that you are listening to, and reading to what they are saying by giving them a thumbs up, it will increase the likelihood that they will click over to your profile to learn more. Just make sure that your bio is clean, and you have been sharing high quality material with your network, so they can get a sense of who you are, and how you operate on the network. This will create more leverage for you, and help you build a greater base and influence within your entire social media platform. As you get more followers, fans and friends in other places, more people will want to add you in other places, based on the past experience they have had networking and engaging with you on the earlier networks. On Google Plus, one interesting feature they have added is the ability to share pieces of content with “Extended Circles.” When sharing a piece of content in the status box at the top of the stream you will see a link that says “+Add people or circles to share with.” When you click this link it will give you a menu of circles to select. Be sure to select the “Public” and “Extended Circles” option to give your post the greatest reach possible. “Extended Circle Sharing” can be really powerful with the right type of content because when you share with extended circles, the content reaches your friend’s connections. Even though the content will not be found in their main feed, it will be found in the “Incoming” section of their feed which can be found on the bottom left hand side of the menu on your Google Plus stream. This will help you get more followers because it expands your reach to a new audience who can be exposed to you, and in doing so, if they love the content you are sharing, they will want to see more of it, and to do that they will add you to one of their circles. The beauty of google plus is that it has the openess of twitter in how people follow each other, while having a similar feel to how you can share content or status updates with your base of friends. One interesting dynamic to Google Plus that I think is brilliant on Google’s part is that they give you greater control in how you share with specific circles that you have built. You have the freedom to send something to a small group of friends, or even one person, and with this type of feature it makes it a pretty powerful tool. In the end, the more followers you have on Google Plus who really want to see what you post, the greater leverage you will have long term. With this new found leverage, you will be able to drive more traffic through your sites, be more respected in your niche, and help impact others on a greater scale over the lifetime of you being and engaging on the network! Translation = This is a Google Plus Gold Rush! So don’t let the opportunity to build something from the start before they open up the site to the masses pass you buy. 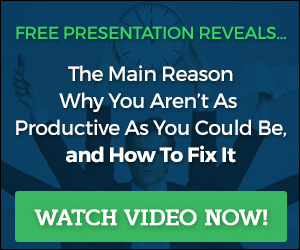 You will be kicking yourself later if you choose to ignore this powerful platform to help you be more effective in building your business and influence! If you aren’t on the network, and need an invite, leave a comment with your e-mail below, and I will send you one ASAP. If you don’t feel comfortable doing that please visit my facebook profile and send me a message there letting me know that you saw this blog article. The links to my facebook profile are on the right side of my blog. Listened to your interview on blodtalk radio today. I wanted to know if you could send me an invite to Google + ? Excellent article but what strikes me is that you don’t have a G+ button in your group of social icons and there’s no +1 button for your post. The comming of Google+ is a bliss! We need a counterpart for Facebook. Thanks for a great post about the new media. Any thoughts on the “Hang Out”? As we know that many person are getting bored with facebook, we need something fresh in the world of social media. I think google will be a giant internet based company..
Great 101 directions to get started! Thanks Scott. Great tips to get more people onto Google+. It will be the way of the future, so it is good to get started on building up a base now and it will only get bigger. Still worth reading 6 months on. Some great tips and advice, thank you! Not sure if the Google+ is really firing off in certain sectors. I think it’s early days before we can say it has the same affect on profiles. Great post. Will definitely try your suggestions. Google plus is a nice alternative to FB. Great post, the conversation and commenting helps a lot to get more followers on google plus. Add me in your circles, and I will do the same. P.S. : thanx for sharing this awesome resource of information. AA+++!!! Do you find that Google + helps more industries than others? It seems to me that businesses use it more than consumers. Since my business targets consumers, many of them aren’t on Google + so I find it hard to target them. Any ideas? Rebecca, that is a great point. Online marketing is not about utilizing all social media platforms out there. Best strategies are using the platforms that meet your goals. If you’re trying to reach consumers you should go with platforms that will help you reach and engage with consumers. If you’re in B2B then you may want to go with a platform that other businesses utilize a lot like google+. Though it is crucial to investigate all platforms and have a good understanding of the benefits of each and then make a decision on which ones to use. Google+ hasn’t taken off with consumers as we all thought when it was first launching but the platform does influence search results on google. Thanks for these useful tips, will implement them and hope I’ll get some good followers. Are Google+ directories helpful to get more followers ? I really like your advice on this site. Anyone new and seasoned to internet marketing can learn much from you. I love Google+ and will follow your advice to grow my circle. Google has certainly outdone themselves from their previous social attempts. They have created a great platform for individuals and businesses to market, further brand, and just connect on a more personal level with audiences and consumers. While it is a great tool, I think it is partially still a hidden gem. Great information! Next post: Are You Using This Powerful Tool In Your Marketing?